Common Core Money: Financial Literacy & Success Inspiration: Get Your Kids Saving for College or Retirement Now! 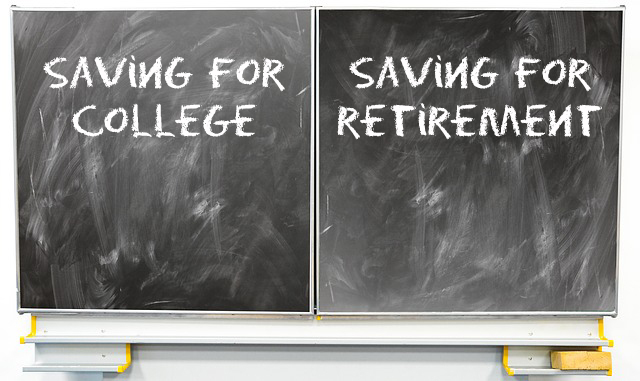 Get Your Kids Saving for College or Retirement Now! Do you like going to work each day, exchanging your time on earth for money? Hmm...I think the majority of you would say, heck no! Well, our kids (I have two) will also hate having to join the rat race and be financially insecure, especially when it comes to retirement. I don't think we have enough adult conversations with our children about money. Many of you would rather keep children oblivious to the hardships of making ends meet in America. I say that's wrong. We don't give our kids enough credit. They are capable of taking on more responsibility for their own future than most of us imagine. There are two major expenses that will overwhelm them just like they overwhelmed us, college and retirement. Many adults see paying for their kid's college as their responsibility. But let's face it, unless you're a high roller, you'll be making some serious sacrifice, most notably toward your own retirement savings, by paying for your kid's college education. Financial lesson number one all kids should learn: saving. They will be given money as early as three years old. Either you or a relative will gift them a little cash. Having them build a habit of saving any money they come into, will be the best thing you can do for them. Once they're four or five, depending on maturity, you can start talking to them about college. That's what any great parent would do. But don't just stress the importance of going to college. Also talk to them about the costs. Then invite them to save some of their allowance or birthday money for this expense. Write on their piggy bank, "College Fund: Do Not Spend Ever," even if they have yet to learn to read. You can tell them what it says. Seeing the money add up would motivate most kids to take on the challenge. The next part of the project is for them to brainstorm where they'll get this $1 from. Ideas? Well, there's allowance, doing chores for money, and even selling things (like cool stickers) to other kids. Get these in bulk from Amazon and sell individually. By the way, school is where many candy and toy transactions take place unbeknownst to the administration. Yes, many entrepreneurs began their journeys as young hustlers on a school campus. By middle school, many teens know if they love to learn, study, and read. These are prerequisites for being successful in high school and college. If your child has kept up his/her savings program for college, encourage them to ramp it up. Instead of a $1, have them save double, or $2. The key is dangling the balance in front of their face. You should be showing them how much money they have in the account periodically. This will keep them money primed. The beauty of getting kids focused on saving money for college or retirement (more on the latter in a bit), is that kids will understand the nature of the game so to speak. Freedom costs money. If you don't put in the work early (saving), you'll be put to work for many years. 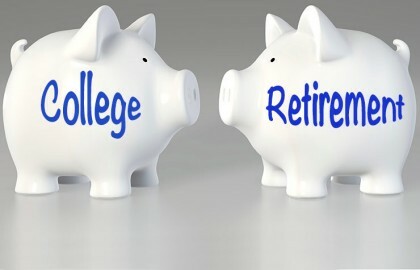 If it turns out that your child decides to forego on college, then in effect, their college savings account has become a retirement account. If they've not touched any of the money thus far, which would be a great feat since young people have a hard time with delayed gratification, they can lock it up even more by transferring the money into a Roth IRA of their own. Kids should now why saving is important and the words that should spring forth from their mouths whenever asked is, "college and retirement." Make these two words so well known in your household so that there is never any doubt why you go to work (to save for retirement as much as to pay for your expenses) every week. Let your kids be kids but don't set them up for enslavement to debt either. They should know! Until next time. Thanks for reading. If you liked this post and want more like them, please subscribe. There are other important factors that you need to consider to be able to separate a good buy from the others. Whether you are buying cheap houses for sale as an investment or as a homeowner, part of your research should go into investigating the neighborhood that surrounds the property.